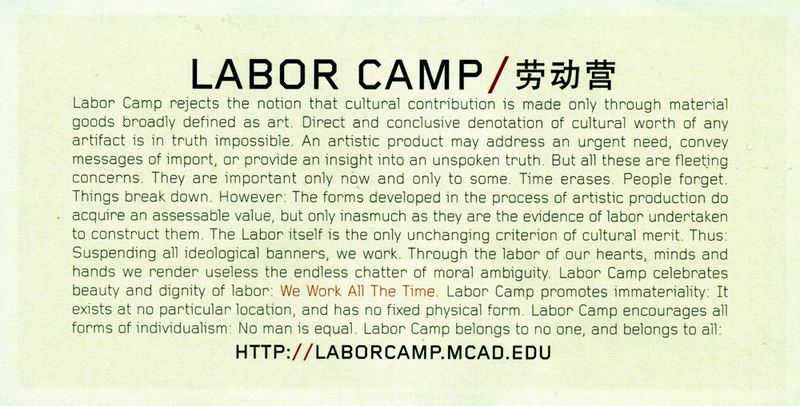 Above: In the mailboxes at MCAD today from Piotr Szyhalski, Labor Camp leaflet, front and back. 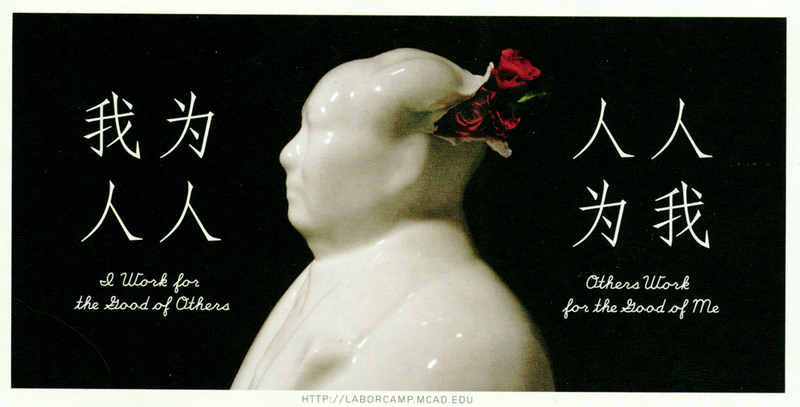 For more, go to Szyhalski’s excellent Labor Camp. This entry was posted by Erik Brandt on Friday, December 12th, 2008 at 5:47 PM	and is filed under Aktuell, Art, Color, Education, Free Radicals, Globalization, Graphic Design, International, MCAD, Minneapolis, News Links, Typografika, Typography.